Whereas other states in America’s Deep South are at least considering the virtues of online real money Internet poker, it looks like The Natural State’s anti-iGaming stance is here to stay in AR. Although Arkansas does permit several types of real cash gambling and wagering, it can by no means be considered a poker gambling or casino haven. 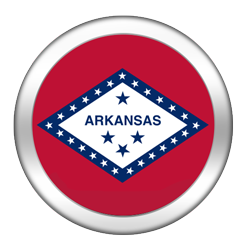 In fact, some would argue that Arkansas is one of the most conservative states when it comes to legal Internet poker websites and gambling related activities. Yet, there are glimmers of hope. Arkansas is bordered by two states – Mississippi and Louisiana – that are seriously considering the virtues of online lawful poker websites with games like real money Texas Hold’em. Also, last year AR state officials authorized a form of online gambling and betting – shocking we know. But it still remains highly unlikely that Arkansas’ powers-that-be will ever give iGaming any serious deliberation. The good news is that real cash poker gambling fans can still play at international Internet poker websites though! Gambling inside The Natural State isn’t as straightforward, but there are real money US poker sites that will take you as a player. 2 Can Players From Arkansas Play Online Poker? 3 Is Online Poker Legal in Arkansas? In late 2012, political consultant and poker player Nancy Todd  proposed a constitutional amendment that would allow for the construction of four land-based casinos offering Texas Hold’em poker and other real cash game variants in Arkansas . After receiving the required 78,133 signatures, Todd’s poker gambling proposal was rejected by AR state officials, who cited the proposal’s ambiguous and vague language as the reason behind its dismissal. Todd would go on to make amendments to the language, but unfortunately, Arkansas’ Supreme Court ruled that the acquired signatures – which were gathered before the revision to the lawful poker amendment – were now outdated. In other news, Arkansas rocked the real money gambling world in early 2014 by passing a piece of legislation legalizing Internet betting and gambling . Senate Bill 329 granted permission to Arkansas’ two racetracks – Oaklawn Racktrack and Southland Park – to allow AR residents to partake in real cash betting on horses or greyhounds via their smartphone or other Internet enabled device. Astonishingly, that Internet gambling bill received no resistance from either the House or Senate and was passed unanimously in both. That means real money online horse and dog betting is legal for 2019. Could an online lottery be next? Going further, will Senate Bill 329 pave the way for legal online Internet poker in Arkansas in 2019 and beyond? Real money poker website fans really hope so, but only time will tell. Can Players From Arkansas Play Online Poker? Believe it or not, Arkansas’ residents in The Natural State will have absolutely no problem finding an online poker website and real money Internet poker rooms to do their poker gambling. If you’re wondering how that’s possible, we don’t blame you. The answer is simple: There are a vast number of legal poker websites located outside of Arkansas’ borders that accept players from the US. And while they don’t all permit players from every state to register a real cash poker account, all the poker websites on our homepage are more than welcoming to players from Arkansas looking for a game of Internet Texas Hold’em poker or any other betting game. Is Online Poker Legal in Arkansas? There are several facets of Arkansas’ gambling statues that could pertain to online poker players playing on real cash Internet poker websites. However, the language of the gambling law as it stands in 2019 is noticeably vague, and can be interpreted one of several different ways. It’s for this reason that we highly suggest you speak with a legal expert, conversant in gambling law if you want to be certain you’re playing on a poker website in a legit way. There is no definition of gambling or gaming in the statues. Yet, it can be inferred from several passages that all types of real money wagering are illegal. As stated by Section 5-66-106: It is unlawful for any person to bet any money or other valuable thing or any representative of any thing that is esteemed of value on any game prohibited by 5-66-104. Reinforcing this statement, Section 5-66-106(a) states that any game of chance and games where any money or property may be won are illegal. Residents are not permitted to set up, keep, or exhibit any gaming table or gambling device Section 5-66-104. It is assumed that real money poker tables would fall under this category. In 2019 the penalties for participating in a gambling game in AR like real money poker are relatively mild, at least in comparison to those inflicted on underground gambling operators. Participants are subject to a fine of between $50 and $100 (Section 5-66-106(b)), whereas poker gambling and casino game device owners could be charged with an unclassified misdemeanor and may be imprisoned any length of time not less than thirty (30) days nor more than one (1) year. In 2009, Arkansas’ gambling statues were amended to include electronic wagering. They state: Wagers on electronic games of skill may be made only by individuals physically present at the location on the ground of the franchise holder’s authorized racetrack park site. While there are no laws that deal directly with online Internet poker, the law seems to infer that poker website operators and Arkansas players partaking in it would be abusing the Internet gambling law. Arkansas’ gambling law can be interpreted such that even all social home games of real money poker in 2019 where no rake is charged would be illegal. That certainly doesn’t bode well for the future of online casino gambling or real money poker betting websites. On a bright note, we are not aware of any arrests in AR prompted by someone playing Texas Hold’em poker or any other game at online poker websites. If you wish to learn more, feel free to review Arkansas’ state code . Although it might seem hard to believe, Arkansas was once the gambling Mecca of the South. After the Civil War restored peace to the Union, the city of Hot Springs , located in Garland County, AR, became well-known for its poker betting and gambling venues. All of this took place amid a local (and hostile) family dispute that would ultimately result in the death of several law enforcement agents. Table games, real cash poker, horseracing and other forms of gambling thrived in Hot Springs throughout the early 20th century and beyond, with many of the areas facilities overseen by the area’s growing mob influence. It wouldn’t be until the late 1960s that the new Republican regime put a halt to illicit gambling, burning all casino and real money poker equipment in the process. AR State’s first horse racing facility, Oaklawn Park , was constructed in 1904. It would remain the only major racing facility in the state until Southland Greyhound Park opened its doors in 1956. Despite a plethora of casino and poker betting room openings in nearby states throughout the 1980s and 1990s, Arkansas would remain steadfast in its anti-gambling convictions. In fact, it wasn’t until 2008 that a second form of real cash gambling would be legalized in the state, and it wasn’t in the form of casinos or legal poker websites. That year, charitable bingo and raffles were deemed legal. In addition, the implementation of a statewide lottery was approved by Arkansas voters in 2008, and in 2009 the Arkansas Scholarship Lottery Act permitted a committee to oversee and regulate the Lottery of Arkansas. The state would join forces with other states by the end of 2009, resulting in the first real cash lottery tickets being sold for Powerball, and eventually Mega-Millions, within its confines. Right now, there are but a few regulated offline and Internet gambling options in the Natural State. Players can participate in various lotteries, charitable bingo and raffles (but not casino nights), and wager money on horse and dog race betting. Currently in 2019, there are no commercial or tribal casinos with real money poker rooms located within the state of AR. Interestingly enough, Arkansas’ two racing facilities are authorized to house electronic games, but only if the games necessitate the use of skill. As a result, electronic real cash poker tables can be found at the Oaklawn race track. What are the chances of poker players in Arkansas finding a real-money online game in a state that is so against gaming? It almost goes without saying that because Arkansas has yet to legalize land-based casinos and poker betting, it has little interest in creating legal Internet poker websites for 2019. Compounding matters, since rejecting Nancy Todd’s casino and real money poker proposal in 2012, no further attempts to regulate commercial casinos or lawful poker rooms have been made. And although the state’s lottery and horseracing facilities implement computerized real cash gambling technology, Arkansas’ officials have been historically against online Internet poker games like Texas Hold’em and all other poker gambling variants. While an Arkansas-based intrastate Internet poker and gambling iGaming operation will likely never see the light of day, there is a remote possibility that Arkansas’ legislatures will one day turn to online real money poker websites and casino gambling to bolster AR’s struggling economy but that’s unlikely to happen during 2019. Without an intrastate pact, we can’t see Arkansas passing an iGaming bill for legit poker websites any time soon. One of the Godfather’s of the modern poker era, Amarillo Slim, was born in Johnson, Arkansas. Born Thomas Austin Preston, Jr. in 1928, Slim would go onto win the third ever WSOP Main Event in 1974. He would win four WSOP bracelets betting on real money poker in total. In a battle of old vs. new, real cash poker pro Slim would finish second to the then relatively unknown Phil Ivey in the 2000 WSOP $2,500 PLO event. Arkansas is so opposed to online gambling and real money Internet poker that it would likely be one of a handful of states to opt out of a Federal iGaming bill relating to real cash poker websites. Even if the stars aligned and it did enter the online poker landscape and offer residents a choice of legal poker websites where they could enjoy betting real money on poker games like Texas Hold’em AR’s less than three million inhabitants could hardly sustain a healthy legit Internet poker populace. Although we could see several land-based casinos and real cash poker rooms pop up within Arkansas’ borders over the next ten years, an iGaming real money Internet poker bill making real money poker betting websites legal just doesn’t seem to be in the cards – not right now at least.